I haven’t flown Delta in decades. Does Delta really not let you gatecheck a powerchair or scooter? * Require the packaging of a wheelchair battery for shipment as checked luggage (one hour advance check-in at the ticket counter). We appreciate your checking powered equipment that may require disassembly at the ticket counter so we can arrange for proper handling. 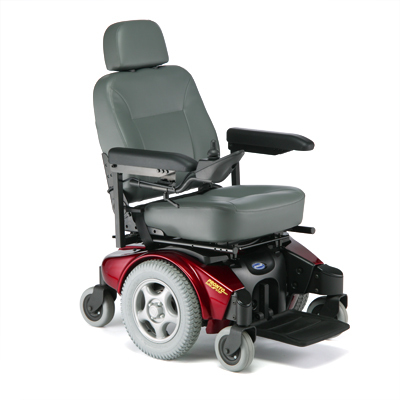 You may use our wheelchair equipment after checking your personal wheelchair. If you use a powerchair or scooter and fly Delta, tell me that it ain’t so! it seems that with the trouble the airlines are having these days ha they’d be looking for cost-free ways to accomodate people. being helpful seems like a no brainer to me. You should check out Mobility Air Transport. I flew Delta with my scooter in March. No problems. They simply asked if the batteries are gel cel or dry cell. I got a gate tag at the check-in counter and stayed on the scooter until I drove it up to the plane, then got off and they took it away. I showed them how to disconnect the batteries on the outside of the battery case. After the flight they brought the scooter to the plane. BTW, on the same flight I brought my manual wheelchair and stored it on the plane. Long time reader, infrequent commenter. I wanted to let you know about a blog I found called Rolling Traveler. The author, Derek, is a wheelchair user who travels (maybe as much as you do!) and posts about his experiences in various cities, the issues he deals with (many of which you also discuss), and so on. The URL is rollingtraveler.today.com. Don’t know if it’s a useful blog to you or your readers, but I figure you are a wealth of information, so here’s a little bit more to add to your knowledge base.